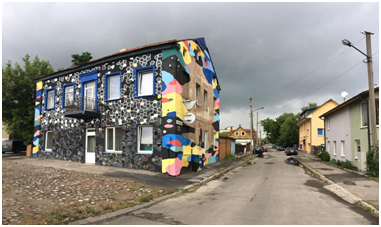 The Kaunas Jewish Community and artists from the Kiemas Gallery in Kaunas invite you to the opening ceremony of the Burning Stones project to commemorate the Slobodka Jewish ghetto in Kaunas (1941-1944) at 1:00 P.M. on July 15, 2018, at A. Kriščiukaičio street no. 21 in Kaunas. The project was financed by the city of Kaunas. The opening ceremony will be financed by the Goodwill Foundation.